Bhutan is a land rich in history, culture and beauty alike. Almost completely cut off for centuries, it has tried to let in some aspects of the outside world while fiercely guarding its ancient traditions. This ten-night adventure is designed for those who seek a challenge. You’ll be led through the Paro Valley to Thimphu, and then on to the Punakha Valley. From the gravity-defying Tiger’s Nest Monastery to the Temple of the Divine Madman, the itinerary combines spectacular drives, hikes and fascinating cultural visits. With four nights at COMO Uma Paro, and three nights at the sister lodge COMO Uma Punakha, this trip combines the best of both locations. COMO Uma Paro, is an intimate, 29-room resort featuring the most exclusive private villas in Bhutan with an enviable location in the Paro Valley. This puts you within striking distance of the country’s great cultural landmarks. The style combines local artisanship with COMO’s contemporary style, while activities range from yoga to Himalayan camping adventures. The Bukhari restaurant is a royal favourite. COMO Uma Punakha, is the second COMO hotel in Bhutan. It is an intimate, luxury lodge located at the far Western end of the lush Punakha Valley. Uma Punakha is ideally located for those who wish to explore this remote Himalayan Kingdom. The trekking phase is fully supported with local Guides and ponies to carry equipment. A typical day on the trek starts with a cup of warming tea or coffee at around 6am, enjoyed while still in your sleeping bags whilst hot washing water is prepared. After a hearty breakfast we set off between 7am and 8am while our supporting staff decamps for us every day. The hiking can be challenging but this is more than made up for by the magnificent scenery through which we pass – each of the days trekking is full of great views and experiences. Lunch will be with us and depending on how you feel and the views around, we can stop for a hot picnic lunch at any time. We normally reach camp at around 2pm to 5pm (subject to weather, fitness and photo stops!) where our team is ready with plenty of reviving hot tea and cookies. Our trekking chef will serve a dinner in the cozy heated dining tent and hot water bottles will be provided before you go to your sleeping tent every night to keep yourself warm. Check in at COMO and a gentle afternoon sightseeing in Paro town and a temple visit. The afternoon trip allows you to acclimatise to the moderate altitude as well as the chance to get to know your local guide. Wind through pine forests high above COMO Uma Paro to the pretty grounds of the fortress-like monastery of Zurig Dzong. Traverse across to Bhutan’s National Museum with magnificent views over Paro, and down to Rinpung Dzong (also known as ‘Fortress on a Heap of Jewels’). The trail then leads across the Paro Chhu Rive, and then past the main archery ground, Ugyen Pelri Palace, before reaching Paro. 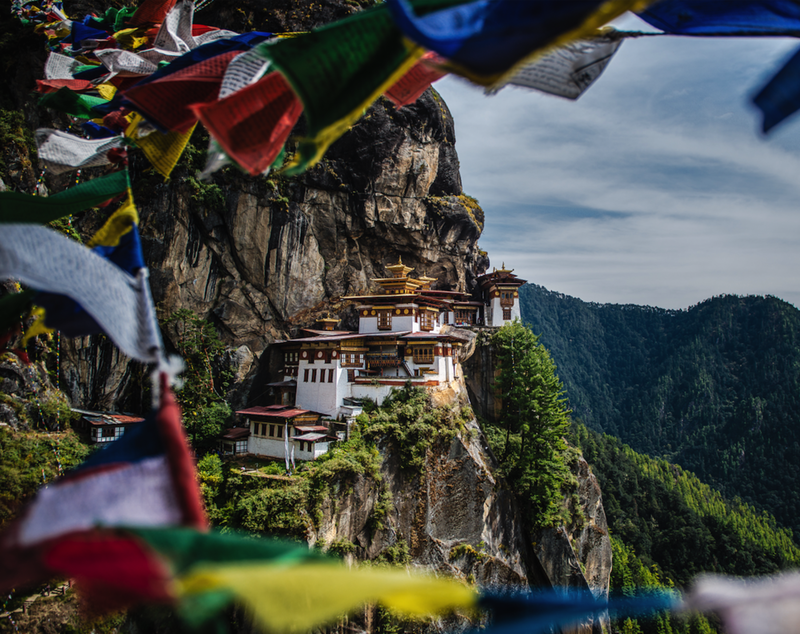 The historical Paro Valley is the focus of today’s activities, culminating in a visit to the Taktsang ‘Tiger’s Nest’ Monastery, which is one of Bhutan’s most important landmarks. According to legend, this cliffside is where Guru Rinpoche landed on the back of a ying tigress, bringing Buddhism to Bhutan from Tibet. The trip starts early in order to avoid the hot sun during the two-hour climb to the Tiger’s Nest viewpoint. It’s a steep hike, passing a waterfall and ending among beautiful murals at the monastery’s main entrance. If time allows, there is the chance to head up to visit remote temples. 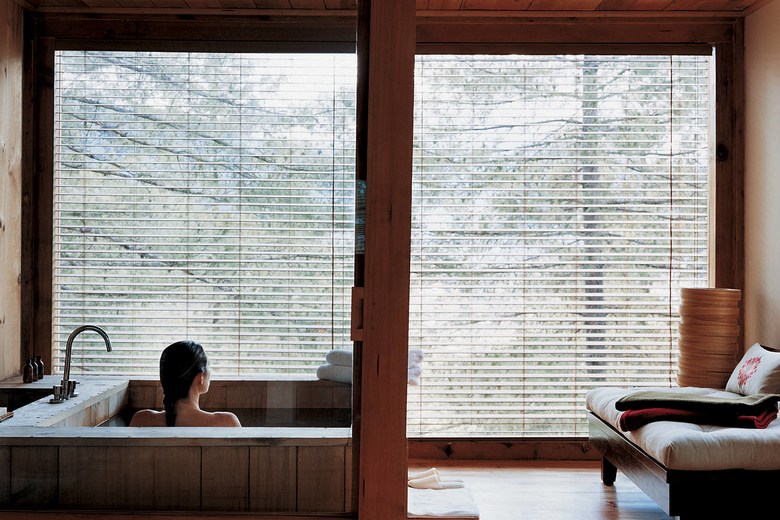 After lunch you return to COMO Uma Paro, where you can enjoy the steam rooms, gym and swimming pool or a COMO Shambhala treatment. Our trek begins near Dhangrim chorten, heading up through apple orchards, smallholdings and ancient pine forests to a ridge. Today’s altitude gain is significant so the pace is slow and steady. We visit Jele Dzong, perched on the ridge, where monks welcome visitors. The views of Paro town and Mt. Jhomolhari (7,314m) are breathtaking on a clear day. We cross the Jele La pass (3,490m) and descend below the ridgeline to reach a pasture at Jangchu Lakha, with outstanding views of the Himalayan range, where you will camp at 3,780m. After breakfast, the trek continues through dwarf rhododendron trees to a view of Thimphu and Paro valley. From here, you’ll go uphill towards Jangchu Lakhala (4,190m) before a steep descent to camp at Jimilang Tsho Lake (3,880m). The lake is home to a large number of trout, believed to have been introduced by the British in the 20th century. Near the camp there are good mountain views, as well as a glacier stream joining the main lake. As today’s trail twists and turns, you’ll enjoy views across the deep valley, spotting the route from day one and across to Jele Dzong, now a tiny white dot in the distance. Crossing a spur, the Simkotra Tsho (4,110m) can be seen below. The trek continues until you reach a yak pasture where you’ll camp overnight, with magnificent views of the eastern Himalayan ranges. The day begins with an ascent to Labana La pass (4,210m), which is adorned with prayer flags and rock pillars given as offerings to the God of Mountains. This is the highest pass in the trek. From here, you can see Thimphu far below. The trail descends to the pilgrimage site at Phajoding (3,870m), then into pine and juniper forest until the road at Motithang on the outskirts of Thimphu. The drive to Punakha winds snake-like up the 3,000m-high mountain pass of Dochu La, offering views of 108 chortens, forests of fluttering prayer flags and, on a clear day, sweeping views of the Himalayan ranges. This is a full day of exploration through the lush Punakha Valley, which at 1,200m is low enough for bananas and oranges to grow. The morning starts with a short walk across farmland and rice paddies to reach Chimmi Lhakhang, a 15th-century fertility temple dedicated to Drukpa Kuenley, a Tibetan Buddhist saint, perhaps better known as the ‘Divine Madman’. This site has long been a pilgrimage site for couples hoping to start a family. Heading further down the valley, the 300-year-old Punakha Dzong comes into view. Built in the 17th century, the fortress once housed the country’s government. It is now the winter home of Je Khenpo, the head abbot of Bhutan, along with a retinue of 1,000 monks. After lunch, the tour takes you on a walk through homesteads and farmland to Khamsum Yulley Namgyal Chorten, a shrine recently built by the royal family. After breakfast drive to Chorten Ningpo, which dates back to the 17th century. The chorten is a little-known spot with a magnificent statue of Maitreya (the future Buddha) and images of the great lamas of the Drukpa lineage. This magical spot was once a dense forest inhabited by evil spirits. The great oak tree outside the monastery is said to have grown out of the blazing log that the ‘Divine Madman’ threw (the tree’s bark is still black from where it was burnt). In 2005 the monastery began to house orphans from the nearby village. A small Buddhist educational institution was founded where children can study both traditional Buddhist scriptures and texts as well as Western subjects. The hike back to COMO Uma Punakha is around 45 minutes, going past Thodrup Lhakhang. After lunch, there is the option to drive to Talo Nobgang village or try white water rafting. Alternatively, enjoy a massage or wellness therapy at the COMO. Retrace your steps back over the Dochu La pass for another chance to view the Himalayan mountain range. The final part of the drive to COMO Uma Paro is through apple orchards and rice paddies. Spend the rest of the day relaxing in the hotel, or try your hand at archery, Bhutan’s national sport. Your 10-minute transfer to Paro International Airport will be arranged according to your flight schedule. Although Bhutan is very small, it has a surprising range of climates. The very far North-Western region (in the most mountainous region) has a polar climate, whereas the southern plains and foothills are subtropical. The weather is best in Spring (March to April) and again in Autumn (September to November). The Himalayan views are considered best during the Autumn months, particularly October. This trip is of medium difficulty. Days are typically around 6hrs, however all equipment is portered. terrain is undulating with significant height gain on several consecutive days. The trek reaches heights of around 4,000m, although we have endeavoured to provide ample time to sufficiently acclimatise. A full kit list will be sent to you at time of booking.